Breastfeeding regimen can almost eliminate HIV transmission. These findings from the ongoing Promoting Maternal and Infant Survival Everywhere (PROMISE) study, funded by the National Institutes of Health, support the World Health Organization (WHO) guidelines introduced in 2015 that recommend lifelong antiretroviral therapy for all pregnant and breastfeeding women living with HIV. PROMISE investigators found that both three-drug maternal antiretroviral therapy and daily infant nevirapine were safe and effective at preventing HIV transmission during breastfeeding. Overall, infant mortality in the study was extremely low, with nearly all babies surviving their first year of life. PROMISE is funded by NIAID and the Eunice Kennedy Shriver National Institute of Child Health and Human Development (NICHD), both part of NIH, and is conducted by the International Maternal Pediatric Adolescent AIDS Clinical Trials network. Researchers will present the new results in a poster at the 21st International AIDS Conference in Durban, South Africa, on July 19. The findings also were presented at the pre-conference 8th International Workshop on HIV Pediatrics on July 16, 2016. PROMISE, which began in 2010, is a multi-component study that aims to determine how best to safely reduce the risk of HIV transmission from HIV-infected women to their babies during pregnancy, delivery and after childbirth, while preserving the health of both mother and child. Study results reported in 2014 identified the superiority of a three-drug regimen for the mother over other regimens for preventing perinatal HIV transmission during pregnancy and delivery. The new findings stem from a component of PROMISE that compares the safety and efficacy of two antiretroviral regimens for preventing mother-to-child transmission of HIV during breastfeeding. 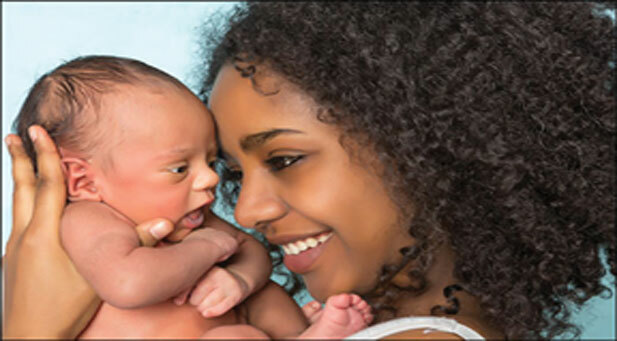 This component included mother-infant pairs living in resource-limited settings where breastfeeding is common and recommended for infant health. HIV-infected mothers in areas that lack safe, clean water may be encouraged to breastfeed because of the health benefits for the infant and the risk for infants from mixing formula with an unsafe water supply. Breastfeeding helps prevent malnutrition, and antibodies from breast milk protect babies against potentially life-threatening diarrheal and respiratory infections. The researchers enrolled 2,431 pairs of HIV-infected mothers and their HIV-uninfected infants at clinical research sites in South Africa, Malawi, Tanzania, Uganda, Zambia, Zimbabwe and India between June 2011 and October 2014. On average, the women were asymptomatic and had relatively high CD4+ cell levels—a marker of good immune system health. Investigators randomly assigned the mothers and their newborns to one of two regimens. One regimen included triple-drug antiretroviral therapy for the mother that continued through the period of study follow up and daily doses of nevirapine for the infant until six weeks after birth. The second regimen consisted of triple-drug antiretroviral therapy for the mother until one week after delivery and daily doses of nevirapine for the infant beginning from the first week after birth and continuing through completion of study follow up. The participants were followed for 18 months or until the mother stopped breastfeeding (on average 15 months after childbirth), whichever came first. The researchers found that maternal three-drug antiretroviral therapy, as well as infant nevirapine, offered protection against HIV transmission from mother to child. The rate of perinatal transmission did not differ between the two study arms and was very low—0.3 percent at six months of age and 0.6 percent at one year of age. The longer an HIV-infected mother breastfeeds, the greater the risk for HIV transmission to the infant. In comparison, in the absence of any intervention, rates of HIV transmission from a HIV-infected mother to her child during pregnancy, labor, delivery or breastfeeding historically have ranged from 15 to 45 percent, according to WHO. Adverse events in mothers and babies occurred at a similarly low rate in both study arms. Infant mortality in resource-limited countries can be high, but in this study, nearly 99 percent of babies lived to see their first birthday. “HIV-infected mothers in low and middle income countries, who may not have access to alternative feeding methods, can be reassured that breastfeeding is a safe option for their infants,” said Nahida Chakhtoura, M.D., of the Maternal and Pediatric Infectious Disease Branch at NICHD. Infant nevirapine also offers a safe and effective alternative if the mother has difficulty adhering to or tolerating antiretroviral therapy, the researchers suggest. Another component of PROMISE, also presenting results at AIDS 2016, followed 1,652 HIV-positive non-breastfeeding women with relatively strong immune system health who were randomly assigned to either continue antiretroviral therapy or stop antiretroviral therapy postpartum. While both groups of study participants showed similar, low rates of AIDS-defining and serious non-AIDS events, other HIV-related illnesses were significantly lower among the women who continued antiretroviral therapy. These findings provide further evidence from a large international randomized clinical trial of the benefits of antiretroviral therapy for women. For more information, visit ClinicalTrials.gov using study identifiers NCT01061151 and NCT00955968. TE Taha et al. Comparing maternal triple antiretrovirals and infant nevirapine prophylaxis for the prevention of mother-to-child transmission of HIV during breastfeeding. Oral presentation at the Eighth International Workshop on HIV Pediatrics and poster presentation at the 21st International AIDS Conference (AIDS 2016) Durban, South Africa. J Currier et al. Randomized trial of stopping or continuing ART among post-partum women withpPre-ART CD4 >400 cells/mm3 (PROMISE 1077HS). Oral presentation at the 21st International AIDS Conference (AIDS 2016) Durban, South Africa.